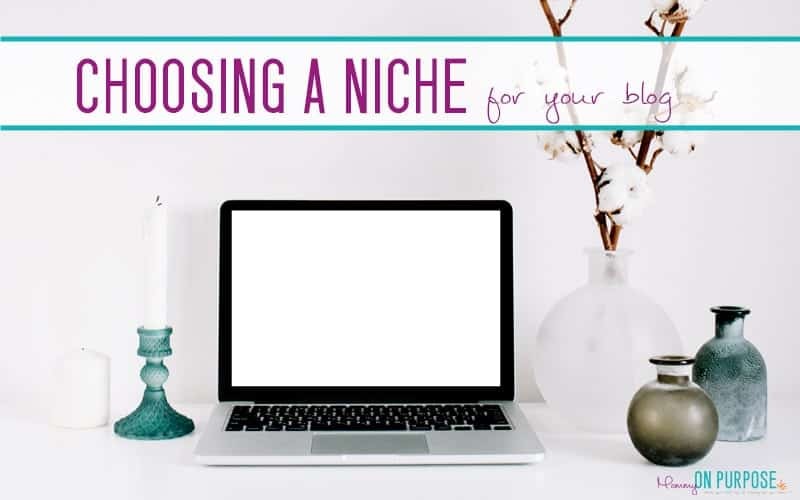 Of all the overwhelming and frustrating things that people struggle with when starting a blog, the subject of choosing a blogging niche & niching down is probably the area that I personally struggled with the most. Hi Carly! I am currently an English major and will graduate in a year. I am a stay at home mommy and have 4 crazy kiddos. My son is disabled so I was unable to keep my full time job. Currently I am looking for a way to break into the world of blogging. I understand this is not a get rich quick sort of thing, but I have hit my fill of swagbucks and really want to break into the writing world as this is my major. I have read probably 99% of your posts on this topic but I am having trouble with one thing and I hope you can help. I want to write about everything! I love DIY and I also love just talking about my kiddos. I would also like to incorporate parenting a disabled child into the mix. Is it possible to write about all things? Is it okay to sometimes just discuss everyday life to let the audience know they may not be alone with some difficult things? Any advice you have would be so appreciated! Thank you in advance! You will be told over and over and over again when trying to choose a blogging niche – NICHE DOWN. Narrow your focus, narrow your audience, you are aiming for ONE oh-so-specific reader. And you MUST appear be an expert in that area, if you want to be successful. 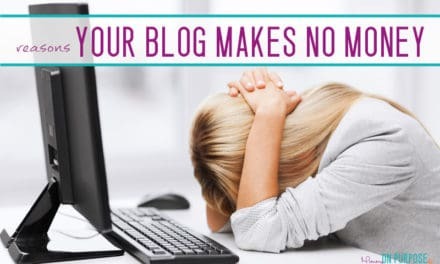 There is a very loud voice telling us that multiple topic blogs will undoubtedly fail and we absolutely can not expect success writing about many things. I understand why this is popular advice. There are things about blogging in general that will be easier if you are writing, say, only about stamp collecting for women over 40. If this is something that you are naturally very passionate about, maybe you’ll have no problem coming up with topics for your posts. You’ll have no problem engaging with your audience and relating to them and figuring out exactly what they want. Growing your email list will be a slow process, because you just won’t have a massive reader volume, but you will come up with some wildly engaged fans – women who are nuts about stamps and can’t wait to hear from you every week. They’ll probably buy the things you’re selling. If, on the other hand, you write about anything and everything, I can certainly see where you’ll struggle also. Readers who land on your blog to see what you have to say about Harry Potter books aren’t gonna stick around when they find out all your other posts are about cats and classic cars and muffin recipes. They certainly won’t subscribe to your blog, fearing you might inundate them with cat emails and they won’t be your raving fans because, frankly, they don’t have a clue what you’re about. So I’m not going to say I don’t see any wisdom in niching down. But here’s what I will say: If your heart just isn’t into a single topic blog, that is FINE and you do NOT have to fail just because you want to write about gardening & cooking & crafts. If you WANT to blog about one topic – do it! And some topics, like, photography or graphic design could make awesome single topic blogs. There is one specific question in the email I want to address before we go on. Is it okay to sometimes just discuss everyday life to let the audience know they may not be alone with some difficult things? Is it okay to sometimes just discuss everyday life? NOT REALLY. (Is it okay to) let the audience know they may not be alone with some difficult things? YES. As long as the things you are writing about are HELPING with those difficult things you can do this. No matter what you write about, no matter how many topics you have, if you are blogging for a profit then you need to write profitable content. 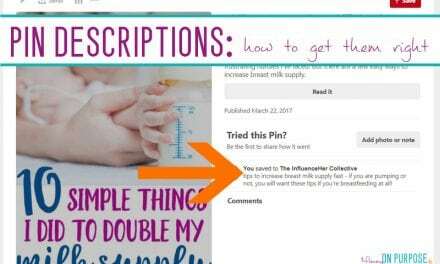 This post isn’t a how-to on profitable content, but just for example I want to point out to you this post on mom-hood, that I wrote just because I really wanted to vs this post on gut health. Anyhow, what we’re really talking about here is the multiple topics thing. Back to that. If this is you, hating the idea of total confinement, I would suggest that you choose a demographic instead of a niche, and then choose topics that will appeal to that demographic. We can be less confined (yet still operate within a healthy-sized box) if we think of our niche as one demographic, and just leave it at that. My niche is moms. The narrowest I’d be willing to go would be to say my niche is new-er moms who want to make an effort at life. There are people who say that I need to niche down to make a living, but I just ignore these people, because I make 5-10,000 dollars a month writing about all these things. What really helped me to finally embrace all my topics was the realization that OTHER bloggers were also doing this! Other SUCCESSFUL bloggers! 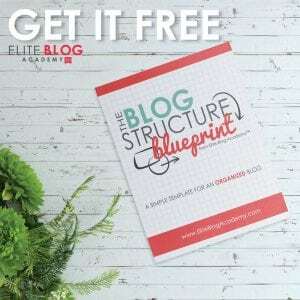 Lena, from whatmommydoes.com has a (very affordable) book on the subject – How to Successfully Organize a Blog With Multiple Topics, and as far as I am concerned, this book should be required reading for anyone who wants to blog about more than one thing. More content for you to tackle. I never get “tired” of one subject. More possible readers / a larger reader base to appeal to. More affiliates for you to promote. But please, consider a segmented email list. The one and only time that I have run into issues with having a broad topic blog is when I first tried email marketing. People had come to my blog via posts on anxiety, posts on making money, posts on pregnancy… and I didn’t have anything I could say to everyone across the board. I didn’t want to email my bloggers about my new baby sleep tips post, because I didn’t want all the bloggers to unsubscribe. But I didn’t want to NOT email about my new posts, because I wanted it out there! Dilemma. This isn’t 1999 anymore, and we can segment our lists. I can send blogging only emails to bloggers, mommy only emails to mommies, and anxiety only emails to those who suffer from anxiety. And I can still write about all those things on my blog. Next time someone tells you that your blog will fail because it’s too broad, point them in the direction of one of these blogs. 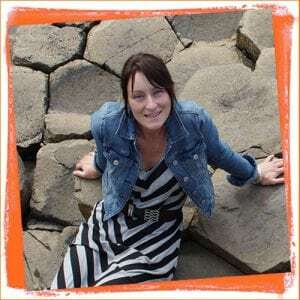 Hilary @ pullingcurls.com – blogging about pregnancy, budgeting, travel and homemaking. Becca @ mycrazygoodlife.com – blogging about food, technology and parenting. Sarah @ sarahtitus.com – blogging about faith, home organization, and making money. Lena @ whatmommydoes.com – family life, making money from home, and blogging. Oh, and me! (Shameless plug!) I have posts here on pregnancy, money, health, travel, living with anxiety, and blogging. These blogs are not just scraping by. In fact, I’d be willing to bet that some of these ladies are making more than a few of those itty-bitty niche sites out there. I’m also willing to bet none of them are just writing and posting without a plan (like the one Lena details in How to Successfully Organize a Blog With Multiple Topics), but my point is that none of them are in a niche-box, and you don’t have to be either. PreviousStop Wasting Food – and SAVE MONEY! NextGiving a Vacation as a Christmas Gift – How & Why! Carly, you are one of my favorite bloggers. I even bought your ebook! I just want to say that this is so nice to hear! I’m struggling right now with blogging about marketing & blogging content, as well as the outdoors (hunting, fishing). I have a huge social media following in the outdoors, but not one in marketing and blogging (but that’s where Pinterest has come in). Therefore, I am truly all over the place. These two niches are very different. I was contemplating between just making two different blogs. Do you think these two niches can be combined? Considering they are so drastically different? Or in this scenario, would you go with two different blogs. Hey Nicole!! I just LOVE you for saying that I’m one of your favorites, lol. THANK YOU! I understand why conventional wisdom will tell you that you can’t combine those two topics… and I would agree that possibly THOSE two specifically will be a bit harder to combine, only because I do think the demographics you have there will be hard to consolidate. Very outdoors vs very indoors. If you have the time and energy for two blogs, maybe two blogs would be the way to go. If the thought of running two blogs makes you want to cry but so does the thought of giving up one of your niches, then I would do it on one blog and segment that list SO hard that they don’t even know each other exists lol. I also wouldn’t push your blogging posts until you have LOTS of blogging content for people to jump around in. One random blogging post will be very out of place in your hunting posts!! I hope that makes sense! Thanks for the reply Carly! I like your “indoor and outdoor” comparison! That all makes complete sense, and considering they are so different, I do think I will try two blogs and see how it goes. I’m freelancing full-time at this point, so I do have time for blogging. Thank you for your perspective and advice! Love your content! Love your helpful posts Carly! If you’re using mailchimp, would you recommend setting up separate lists altogether in mailchimp in order to segment? I’m having this problem and I think Id grow more having separate lists. Thanks! Hey June!! I would definitely do separate lists to segment. I actually still do it that way because old habits die hard and I just LIKE having separate lists lol. That was how I did it in madmimi and it always worked great. Thank you SO much for being honest! I feel the same way. I’m a member of several blog groups (on Facebook) that advise to drill down your niche. My fear is getting bored! I find if I blog about one thing I can link it to another! Before you know it my blog falls into “broad”. I’ve just started my blog journey and felt such relief that you’ve come out to disagree with the popular belief of narrow focused blogs! Aw I’m SO GLAD YOU LOVE MY EMAILS!! I work really hard on them and I appreciate that you read them <3 And I promise to always be honest! Hi Carly, this was so freeing, thank you! I’ve been struggling with narrowing down too much as I have two solid following groups and three areas that I’m passionate about (family, faith and creativity) which are intertwined in many ways. I was thinking of two blogs but will keep following my heart in one. You are also one of my favourite bloggers – I have learnt so much from you thanks again! I think I may be overtired but your example about stamp collecting for the woman over 40 made me giggle!! Haha!! Totally love how real you are and you don’t sugar coat things!!! Way to go Carly!! 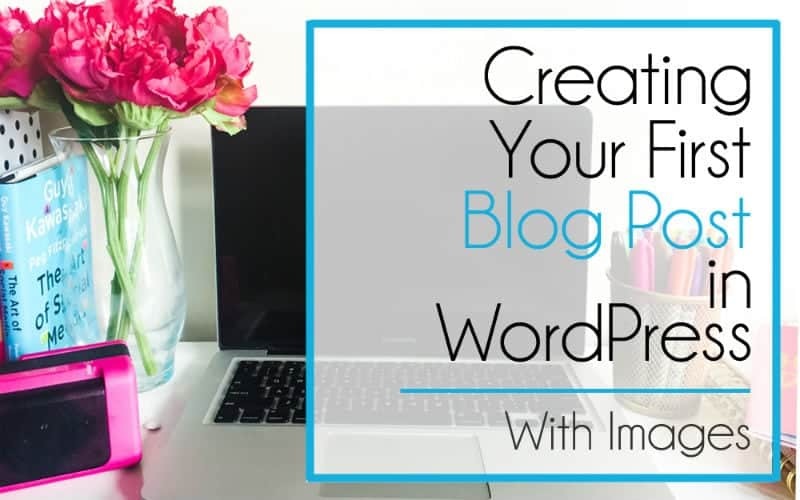 Your blog truly is inspiring! I just found you on Pinterest and i like your articles. i would like to start a blog but I don’t know how to do it.I don’t even have a social media account. Maybe you have some advices to me. Carly, I love you, for this post. I was so confused after blogging for few months and even decided to hide my most popular post because of Niche. I also came under the spell of NICHE Down and I wanted to write about few topics too but just didn’t understand how to and how my viewers gonna relate. “Demographics” is the MAGIC word. I already wasted few days on it getting frustrated but now I think I’ll go back to work with Peace and Confidence. YES – leave your popular post right where it is!!!!!! I’ve just come across this and absolutely love it! Completely the opposite to everything else I’ve read which is a relief since I was almost contemplating giving this whole thing up thinking there’s no way I can just stick to one topic and write about it 2/3 times a week until…..? So as you may guess I haven’t even started yet, though have a domain and semi-working site. I’ve been doing a lot of reading and want to do a whole lot more, including SEO. From my very limited knowledge what I can’t get my head around is how you can expect to be an expert and rank for keywords across very different topics? My basic understanding is that you need a lot of content on a topic to rank well and if your content is spread over several different topics then you’re effectively spreading yourself thin… I guess if I can get my head around that then I am good to go! Any ideas appreciated! And I’m looking forward to reading lots of stuff on the change from one baby to two – wow that hit me hard!